The 2015 IRC Section R806.5: Unvented attic and unvented enclosed rafter assemblies may be the least used or understood option, although it applies directly to the unvented insulated roof described above. This section recognizes that there are different rates of air permeability for different types of insulation; therefore, it refers to insulation as either air permeable or air impermeable—that is it either qualifies as an air barrier or not. The intent of the code appears to recognize the building science of these assemblies that balance the potential for air and water vapor passage against the potential for restricting that passage or having drying potential. Therefore, the 2015 versions of the IRC (R806.5) and the IBC (1203.3) state that unvented attics and unvented roof framing assemblies are allowed under the code where the following five conditions are met. The unvented attic space (roof assembly) is completely within the building thermal envelope. Presumably, the unvented assembly is defining the thermal envelope of the roof. No Class I vapor retarder (less than 0.1 perm rate) is installed at the ceiling plane. This allows vapor to diffuse to the interior if needed. If present, wood shakes and shingles must be separated from the roof sheathing by a minimum of 1⁄4-inch (6.4-millimeter) vented air space. In Climate Zones 5, 6, 7, or 8 (as defined in the IECC) air-impermeable insulation must be (or have) a Class II vapor retarder (0.1 to 1.0 perm rate) on the underside of the insulation or assembly. The location and type of insulation must also meet certain criteria based on the type of insulation (air impermeable or air permeable) and the location of the insulation (exterior or interior to the roof sheathing). There is also a requirement for condensation control by assuring a minimum amount of air impermeable insulation is provided on the exterior side (i.e., beneath the roof sheathing). That minimum amount varies based on climate zone, with more required as the zone number increases (i.e., R-5 in zones 1–3 up to R-35 in zone 8). Rigid board insulation can be used to achieve this condition (not just spray foam, for example) as long as the edges are “sealed at the perimeter of each individual sheet to form a continuous layer.” This outer layer helps keep the temperature of the framing cavity above the dew point, and its thickness is directly dependent on the climate zone where the building is located per table R 806.5 of the 2015 IRC, shown as follows. Unvented insulated sloped roofs can use air-permeable insulation in the roof assembly under the code provided they also provide a layer of air-impermeable insulation as the outermost layer to control condensation. The thickness of the air impermeable insulation depends on the climate zone where the building is located. Overall, the 2015 codes allow unvented roof assemblies based primarily on the air permeability of the insulation and the class of interior vapor retarder. Note that there are exceptions where unvented assemblies are not allowed in high-humidity or special-use structures as identified in the code. 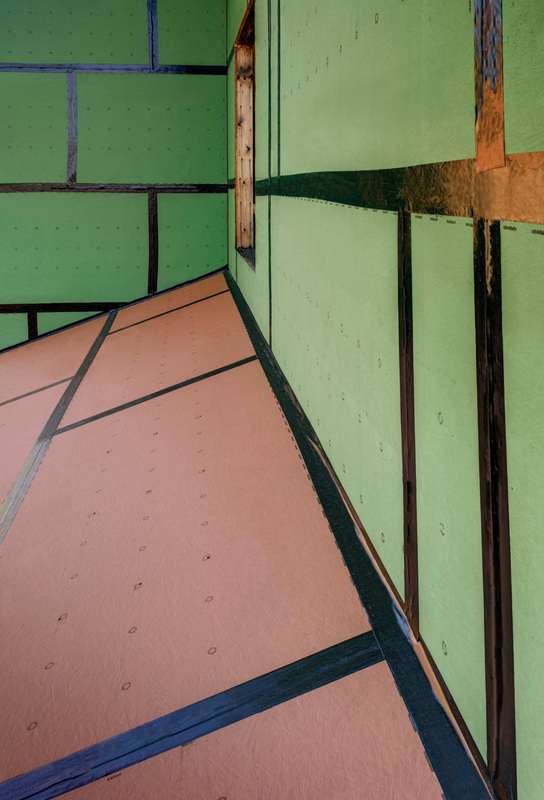 In the 2018 version of the IRC (but not of the IBC), a new section has been added (R806.5.5.2) that allows for up to 100 percent air-permeable insulation to be used in unvented attics in climate zones 1, 2, and 3 provided certain requirements are met. It is worth noting that this new provision came about because of the work of Dr. Lstiburek and others who have done the field research to fully study and develop the building science behind what has been adopted in the 2018 IRC. Essentially, they have demonstrated that vapor in an unvented space will pass through air-permeable insulation and can escape through designed openings in the roof that allow for vapor diffusion but not for air infiltration. Essentially, a port or opening that allows vapor to diffuse or escape is called for. Such a vapor-diffusion port consists of creating a condition similar to a ridge vent where moisture—but not air—is allowed to pass through. This is achieved through the careful selection of materials and proper installation in the field but defined in terms of performance within the code. Vapor-diffusion ports are located within the highest 12 inches of the sloped roof. The ports comprise an area equal to or greater than 1:600 of the ceiling area. The vapor-permeable membrane over the ports has a vapor permeance equal to or greater than 20 perms as demonstrated by testing. The vapor-diffusion port is part of a continuous air barrier between the attic and the exterior of the unvented roof assembly. This is particularly important since it means that the top surface of the sheathing material needs to be a continuous air barrier and the vapor-diffusion port needs to tie into that in a continuous manner. The vapor-diffusion port still protects the roof from blowing rain and snow. Framing members must not block the path of water vapor up toward the port. The roof slope must be 3:12 or greater. Where only air-permeable insulation is used, it must be installed directly below the roof sheathing. Air-impermeable insulation may still be used either above or below the roof sheathing but is no longer needed for condensation control in specified thicknesses. If air-impermeable insulation is used in combination with air-permeable insulation, there shall be no space between the two. 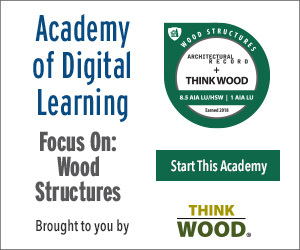 These provisions should be fairly straightforward to meet in most conventional wood-framed construction in warm climate zones. Of course, getting vapor-diffusion ports to work well is a bit more complicated in cold climates, which is why they are only accepted for climate zones 1–3 for the 2018 IRC. This means the requirement for exterior insulation can be eliminated climate zones 1–3 but is still required in climate zones 4–8. Future editions of the code may contain provisions for other climate zones based on the continuing research and conclusions reached by BSC and others. Unvented roof assemblies can be a design requirement for many different reasons. The 2018 code allows such assemblies with more options than in previous years all related to climate zone. We have seen the importance of paying attention to details of venting for air and moisture and how they are directly tied to the water, air, vapor, and thermal barriers in a roof system. In particular, we have looked at both vented and unvented wood-framed roofing systems, recognizing that the same fundamental forces are at play and that we just need to be sure they are dealt with appropriately in the final design and construction. We have looked at the various types of insulation that can be used and their impact on the total assembly, as well as the need for interior vapor retarders and air barriers to keep moisture out of the places it doesn’t belong. Let’s focus now on the choices for the exterior water and air barrier which are critical in all scenarios. We have noted that in a vented attic situation, the air barrier is usually at the ceiling line to keep air infiltration from entering the conditioned space. The thermal barrier (insulation) is above that, and the ventilated space is above that, so there is no sense in putting the air barrier on the outside as is done with wall construction. However, that changes when insulation completely fills the framing space and there is no ventilation provided (i.e., unvented conditions). Then, as we saw in the code requirements, the air barrier not only needs to be on the exterior (roof sheathing) side of the assembly but it must also be fully continuous and tie into vapor-diffusion ports when applicable. As with most design and construction details, there are choices available in how to achieve the intended results through the use of different products or materials. From a design and specification standpoint, roofing barrier options can be classified into two general categories as follows. The conventional approach to achieving the needed barriers is to use a multi-product, multi-layer solution. In this case, each of the four barriers is specified and installed as a separate layer in an assembly. During design, this requires investigating and specifying multiple products that need to be compatible with each other. There also needs to be proper detailing between the materials to assure the total system will work as intended. During construction, it means performing multiple labor tasks, perhaps by different trades that need to be coordinated to assure that all of the barriers work without compromising any of the others. Further, to be assured that their installed performance will be met, the particular combination of products needs to have been tested to assure they meet all of the water, air, and thermal thresholds required for the assembly.